When any company are generating the hazardous material for the manufacturing process that directly or indirectly affect environment, need to follows some rules and acts are defined by local government / central government or as factory acts are comply 100% to keep continues that unit and same are permission are achieved from government. Hazardous materials and its rules/acts are follows by unit as indicated in regulation statue in factory act /rule book. Each organization need to follow as indicated the root of the generation / disposal of hazardous waste / emissions are produced as result of manufacturing processes. 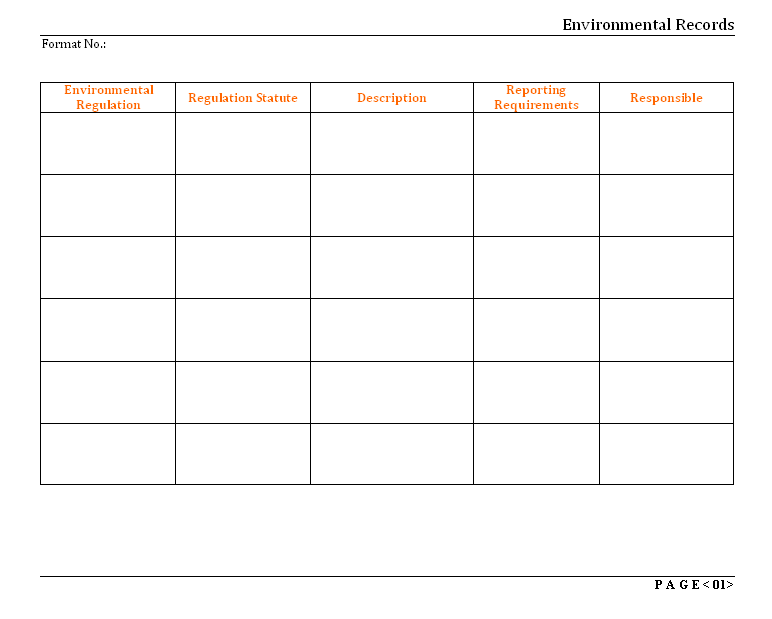 The fields are given in this format is very basic but it is covered the basic requirements that list out of each rule / act that applicable to organization and same will be reporting requirements are need to mentioned, responsible person / unit are need to indicate for the direction of the organization planning on controlling on environmental effects.